Freeze-died fruit open up a world of flavor and color for no-bake cheesecakes. However delicious, the world of baking can, at times, seem mighty beige. From flaky pie crust and toasty meringue to angel food cake and chocolate chip cookies, so many of our favorite desserts are monochromatic, to say the least. For that reason, few desserts feel more joyful than those that bring a natural burst of color and flavor to the party. And trust me, there’s gonna be a party wherever these colorful and fruity no-bake cheesecakes turn up. The underlying recipe is essentially the same as my no-bake cheesecake, with the same cookie-crumb crust, but all dolled up with the addition of freeze-dried fruit. Unlike fresh fruit purée or jam, freeze-dried fruit has no water or added sugar, so it packs a concentrated flavor that won't throw off the consistency or sweetness of the no-bake cheesecake filling. And thanks to the low-temperature processing method, freeze-dried fruit has the same bright flavor as fresh, not the semi-caramelized profile of a stovetop reduction. Look for pouches of freeze-dried fruit in the snack-food aisle of major supermarket chains like Kroger, or else try shopping online. I go through a lot freeze-dried fruit at home, so I like to buy in bulk from brands like Mother Earth and Augason Farms, but if you won’t use it up in other recipes (or as a snack) pick up smaller pouches from Trader Joe's, Whole Foods, Karen’s Naturals, or Crunchies. The selection of fruit will vary by brand, but use whatever you like—the basic technique for each is the same even if the fruits may differ. The crusts are flexible, too. A graham cracker crust tastes amazing no matter what, but chocolatey Oreo wafers really pop with strawberry; caramelized Biscoff taste great with banana; spicy gingersnaps pair nicely with mango; and so on. Let your cravings be your guide! Whatever cookies you choose, pulverize them in a food processor or in a heavy-duty ziptop bag that can withstand a few whacks from a rolling pin, then moisten the crumbs with butter that’s melted but cool. Hot butter may dissolve the crumbs and make a sticky paste that’s more likely to bond with the pie plate. If needed, season the buttered crumbs with a pinch of salt. Press the crumbs into an even layer with a ramekin or drinking glass, then use your hands to sculpt the crumbs into a border around the edge of the plate. Once formed, stash the crust in the fridge until needed; if it’ll be a few hours, be sure to cover it in plastic, otherwise the crust will be fine uncovered while you make the fruit filling. For that, start by grinding the sugar and freeze-dried fruit into a fine powder in a food processor . 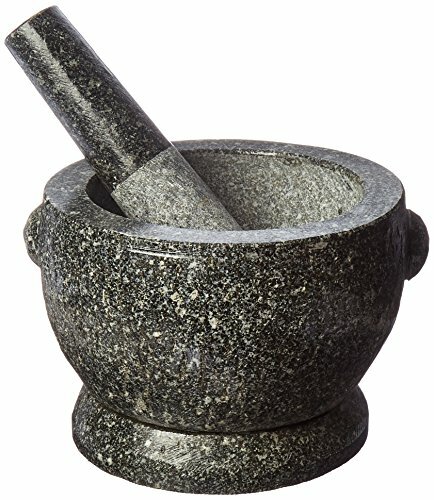 If you don’t have a food processor, get old school on it with a mortar and pestle. The "how" isn’t important so long as the result is a fine, free-flowing powder. Next, combine the fruity sugar with cream cheese, a splash of lemon juice, and a pinch of spice or other aromatics. The idea isn’t to make a spiced cheesecake, but to use sympathetic flavors to coax out a stronger flavor from the fruit. From my experience with other recipes, I've found that a pinch of Chinese five-spice powder works wonders for strawberry, orange plays up cranberry, coriander brings out the best in blueberry, almond intensifies cherry, cloves heighten the flavor of banana, and cardamom amps up mango. If you're not sure what pairs best with the freeze-dried fruit you've chosen, it can help to consult a book like The Flavor Thesaurus for ideas. Beat everything together on a stand mixer fitted with a paddle attachment until creamy, smooth, and totally homogenous, then add the heavy cream. Switch to the whisk attachment, and whip until the cream cheese mixture is fluffy and thick enough to hold stiff peaks. Scrape into the prepared crust, and spread into an even layer. Now for the hard part—waiting. The cheesecake needs to chill down to an internal temperature of around 40°F before it will be cool or thick enough to slice, and that takes about 6 hours. On the plus side, it will keep for more than a week in the fridge. The way I see it, that makes no-bake cheesecake the ultimate make-ahead dessert. Whip it up on a Thursday and forget about it till you’re reaching for that dinner party dessert on Saturday. To serve, pile it high with fresh fruit and cut with a hot chef’s knife (rinse it under hot running water between each slice). Loosen the crust from the pie plate with an offset spatula or cake server. It’s always tricky excavating that first slice, but it’s also a convenient excuse to claim the first bite. While freeze-dried fruit gives this recipe year-round potential, the no-bake format makes it a particularly useful trick in the warmer months when a topping of fresh, seasonal fruit can multiply its flavor and color. So head to your favorite supermarket or hop online to find your dried fruity foundation, and get ready to taste the rainbow.